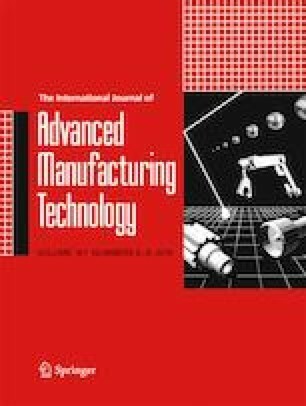 A scaling method is developed for the creep age forming (CAF) process to downscale manufacturing of large/extra-large panels to lab-scale experimental trials for industrial application. Similarity theory is applied to identify both the geometrical and physical (non-geometrical) similarities between large-size prototypes and scaled-down models in all process stages of CAF, including loading, stress-relaxation and unloading (springback). A constitutive model is incorporated into the theory in order to identify the similarity in the highly non-linear stress-relaxation behaviour for aluminium alloy plates during CAF, and to obtain the effective scaling criteria for the CAFed plates after springback. The method was demonstrated by scaling down CAF manufacturing of both singly curved and doubly curved large plates under both proportional and non-proportional geometrical scaling conditions. The analytical results of the scaling method and numerical results obtained by CAF FE modelling were found to be in good agreement. Scaling diagrams linking the key deformation (springback) and structural (flexural rigidity) variables to scaling ratios under both proportional and non-proportional conditions were generated, and the developed scaling diagrams have been validated by corresponding CAF experiments. The scaling method developed in this study provides guidance on the design of scaled-down CAF experimental trials and will be used in the practical CAF process of large/extra-large panels. Much appreciated is the strong support received from CRRC Qingdao Sifang Co., Ltd. The research was performed at the CRRC Sifang-Imperial Centre for Rail Transportation Manufacturing Technologies at Imperial College London.